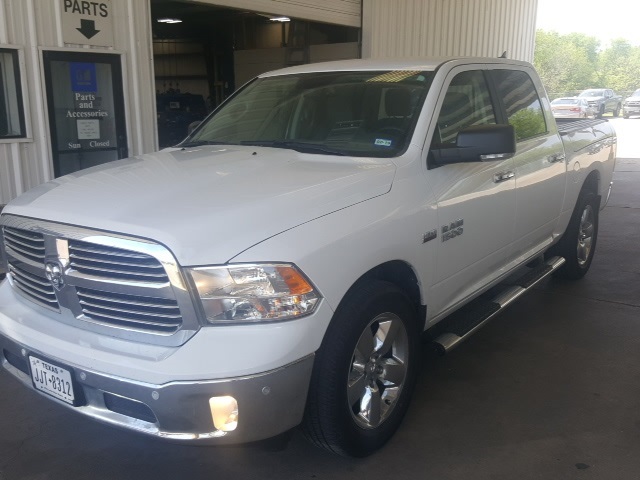 Bright White Clearcoat 2017 Ram 1500 Lone Star RWD 8-Speed Automatic HEMI 5.7L V8 Multi Displacement VVT 115V Auxiliary Power Outlet, 40/20/40 Split Bench Seat, 4-Wheel Disc Brakes, 6 Month Trial (Reg. 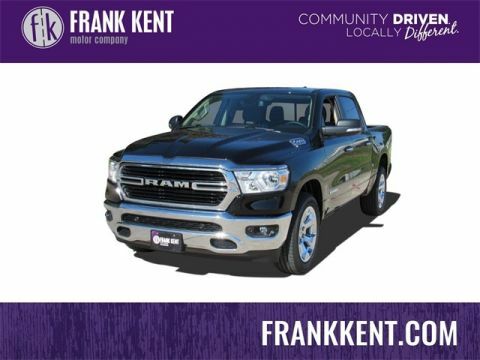 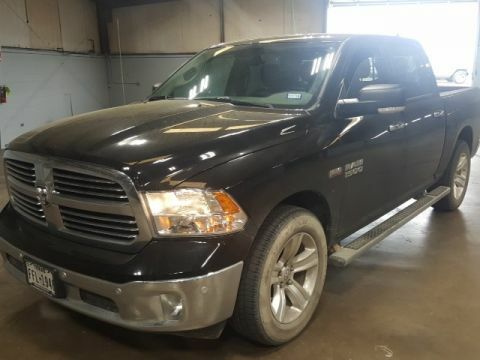 Required), 6 Month Trial (Registration Required), 6 Speakers, 8.4" Touchscreen Display, ABS brakes, Air Conditioning, Air Conditioning ATC w/Dual Zone Control, AM/FM radio, Audio Jack Input for Mobile Devices, Auto-Dimming Exterior Mirrors, Auto-Dimming Rear-View Mirror, Brake assist, Bright/Bright Billets Grille, Charge Only Remote USB Port, Class IV Receiver Hitch, Delay-off headlights, Dual front impact airbags, Dual front side impact airbags, Dual Rear Exhaust w/Bright Tips, Electroluminescent Instrument Cluster, Electronic Stability Control, Exterior Mirrors Courtesy Lamps, Exterior Mirrors w/Supplemental Signals, Fog Lamps, Folding Flat Load Floor Storage, For Details Visit DriveUconnect.com, Front anti-roll bar, Front Armrest w/3 Cupholders, Front Center Seat Cushion Storage, Front reading lights, Front wheel independent suspension, Fully automatic headlights, Glove Box Lamp, GPS Antenna Input, Illuminated entry, Integrated Voice Command w/Bluetooth, Leather Wrapped Steering Wheel, LED Bed Lighting, Lone Star Badge, Lone Star Regional Package, Low tire pressure warning, Media Hub (USB, AUX), Nav-Capable! 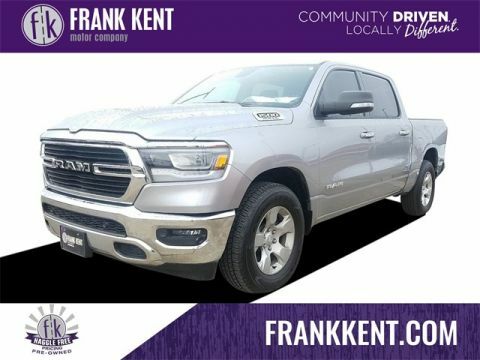 See Dealer for Details, Occupant sensing airbag, Outside temperature display, Overhead airbag, Overhead console, Overhead Console w/Garage Dr Opener, Panic alarm, ParkSense Front/Rear Park Assist System, ParkView Rear Back-Up Camera, Passenger vanity mirror, Power 10-Way Driver Seat, Power Heated Fold-Away Mirrors, Power Lumbar Adjust, Power steering, Power windows, Power-Folding Mirrors, Premium Cloth 40/20/40 Bench Seat, Quick Order Package 26R Lone Star (Regional), Radio data system, Radio: Uconnect 3 w/5" Display, Radio: Uconnect 3C w/8.4" Display, Rear 60/40 Split Folding Seat, Rear anti-roll bar, Rear Dome w/On/Off Switch Lamp, Rear seat center armrest, Remote keyless entry, Remote Start System, Remote USB Port, Security Alarm, SIRIUSXM Satellite Radio, Speed control, Steering Wheel Mounted Audio Controls, Storage Tray, Sun Visors w/Illuminated Vanity Mirrors, Tachometer, Tilt steering wheel, Tip Start, Traction control, Trip computer, Uconnect Access, Underhood Lamp, Universal Garage Door Opener, Wheels: 20" x 8" Aluminum Chrome Clad.